Qchain wants to improve digital marketing by building a blockchain-based platform that enables advertisers, influencers, content creators, and content publishers to engage with each other through a decentralized marketplace. By streamlining the content marketing process, the group hopes to make it easier to create digital advertising content that serves as an alternative to traditional online ads, which are rarely as effective as marketers hope. The ICO for Qchain's tokens, EQC and XQC, took place between October 24 and December 5, 2017. If you're a marketer, you know that reaching consumers through digital advertising has become very tricky. The rise of ad blockers means that as many as 40 percent of consumers never see the ads that marketers pay to distribute to them. Even if your ads do reach their targets, it's difficult to ensure that the ads are actually relevant. This challenge has led to an upsurge in recent years in content marketing. Content marketing means producing digital content -- such as blog posts or videos -- that promote a product or service in some way. The advantage of content marketing as compared to traditional online ads is that marketing content can't be blocked. The content may also speak more effectively to consumers; for example, someone who is interested in snowboards is more likely to be persuaded to buy a particular company's snowboard if he reads a well-written article that mentions that snowboard in some way than he would be if he saw a banner ad about the snowboard while scrolling through his Facebook feed. Marketers struggle to find skilled content producers who can create good content for their campaigns. Marketers who want to engage in influencer marketing -- a category of content marketing that involves hiring high-profile individuals to appear in or promote marketing content -- also have a hard time finding qualified influencers who are willing to work with them. Agents who represent influencers have a hard time locating and engaging with marketers who are willing to pay for their clients' services. Publishers -- the people who own digital platforms where content marketing pieces can be published and reach consumers -- are not able to connect with any of the above parties in a streamlined way. Qchain's vision is to build what it calls "a direct buy marketplace," in which all of the stakeholders listed above can interact to commission, produce, and distribute content for content marketing campaigns. Wally Xie, CEO. Xie's background includes a mix of scientific research and digital marketing experience. 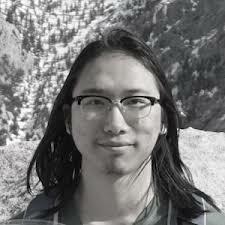 He is currently a graduate student in mathematical biology. 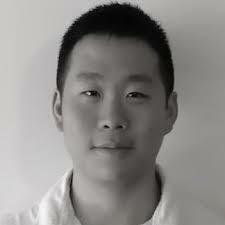 Roy Zhao, CTO. Zhao is also a graduate student. His background appears to have mostly involved scientific research. 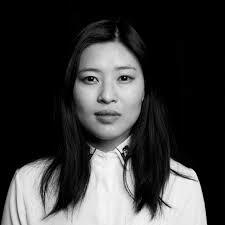 Angela Wang, Chief Content Officer. Wang has experience as a writer for a number of high-profile media outlets, including Gawker, BuzzFeed, and Gizmodo. Her writing includes work on cryptocurrency, and she presumably knows something about the link between digital content and marketing given her extensive online writing experience. Qchain is unusual in that it has not one, but two, tokens: EQC and XQC. The reason for this dual token model is simple enough. As Qchain representatives have explained on Reddit, Qchain works on two blockchains, Ethereum and NEM. EQC tokens are the Ethereum-compatible tokens for the Qchain platform, while ZQC tokens are for NEM. The main purpose of the tokens is to allow users of Qchain's marketplace to engage in transactions. In the future, however, the project says that token holders will be able to stake tokens by running nodes that provide backups for their marketplace. Qchain has an active Twitter account, and the team can be reached on Telegram. The project also has open source code on GitHub, although the code available so far does not appear to be the complete platform. Qchain is therefore presumably still in development. It is worth noting, too, that while Qchain has expressed a strong commitment to open source code, it says on its website that only "portions of our source code" will be released publicly. A fully open source platform might be preferable to investors who value transparency. Qchain is right in that traditional digital advertising models, which are centered on serving online ads, are pretty broken. The project is hardly the first organization to recognize this problem or to point to content marketing as a better alternative. However, the value of the content-marketing marketplace that Qchain proposes to build seems limited. There are a number of other platforms that are designed to help marketers, influencers, publishers, and content producers collaborate around content marketing campaigns. Freelance sites like Upwork operate in this niche, as do a number of companies (including Media Shower Inc., which owns Bitcoin Market Journal) that specialize in helping advertisers execute effective content marketing campaigns. The difference between Qchain and most other content marketing marketplaces is that Qchain's marketplace will be decentralized and run on the blockchain. These features could help Qchain to provide a content marketing collaboration solution that has lower costs and greater security than centralized alternatives. However, the extent to which these features will help Qchain overcome the competition in a crowded market is unclear. We are also a bit bearish on Qchain because the relevant experience of its leadership team appears limited. As noted above, two of its executives are graduate students with little or no experience in digital marketing or blockchain projects. We bet they're great scientists, but it's unclear from their professional backgrounds how prepared they are to run a project like Qchain. Finally, investors should note that Qchain's focus has been somewhat inconsistent. The project's only existing whitepaper is no longer up-to-date because Qchain decided in late 2017 to "pivot" in a different direction, according to a Medium post. It promised at that time to release a new paper describing its plans and platform, but as far as we can tell, that paper has yet to be written. We're therefore skeptical about Qchain's ability to follow through with its mission, or even to define that mission clearly and consistently. The bottom line: We don't think Qchain is a great investment unless you like taking risks. If you want to invest in platforms designed to disrupt digital advertising, there are plenty of other, better options. To learn more about investing in ICOs and altcoins, subscribe to the Bitcoin Market Journal newsletter! When will Qchain be released? Qchain’s roadmap says that its first production release will debut in the first quarter of 2019. Qchain was founded in January 2017. Qchain is based in Irvine, California according to its website. What are the names of Qchain's tokens? EQC and ZQC are Qchain’s tokens. Which blockchains does Qchain support? Qchain runs on both Ethereum and NEM.